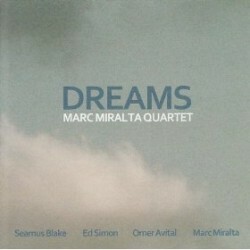 Drummer Marc Miralta’s most recent CD is Dreams (Fresh Sound, 2007). In this interview, recorded while Miralta was in New York to play with Alexis Cuadrado, Miralta talks about his lifelong love of jazz; how he became known for his flamenco/jazz hybrid music; and why a life as an artist was a natural choice in his family. Learn more at www.marcmiralta.com. Tracks used in this episode: Dreams; Way Out Willy; Cami del Bosc; Epistrophy and Segment (both from the New York Flamenco Reunion album); Eastern.